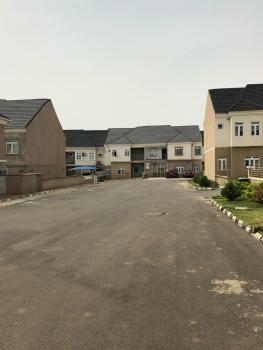 There are 1,735 available flats, houses, land and commercial property short let in Nigeria. The property have been listed by estate agents who can be contacted using the contact information provided for each property listing. The list can be filtered by price, furnishing and recency. Vacations are meant to be something special... We are proud to present to the market a wonderful opportunity to let a stunning, large triple bedroom on the 12th floor, Luxury Furnished Flat within the Heart of Victoria Island (Eko Atlantic City).Ever imagined waking up to paradise, Harvest can be described in the words of Arthur, ''The heaving sea, the waves upon the shore, the musical, strong waves, balmy air of the sea''...... Oh what comfort and satisfaction you get when you stay at Nordic Lights. Imagine coming home to this gorgeous 3 bedrooms” in the swanky part of Victoria Island.Nordic Lights is an enchanting romantic haven; with exclusivity and privacy and it is the perfect honeymoon/work/vacation getaway.Standing high just overlooking the Atlantic Ocean, with a glass-floored living room, a sundeck, infinity pool which is on the Terrace and splendid amenities, this villa choice has endless opportunities for spotting marine/harbor life and enjoying the beauty and vastness of the ocean with stunning views.The living room provides ample opportunities for relaxation as the large glass screens offer that view with peace and tranquil. Furnishing is so magnificent that the legendary Viking carpenter/god, ''FLOKI'', would be fascinated. The master bedroom as well as the other two rooms offers stunning views with comfortable Beds and silky clean duvets, Central cooling system. Cable TV premium subscription is available, the central cooling system is second to none and a central control system for everything needed. Power is uninterrupted and noiseless.Take advantage of the state of the art kitchen with superb kitchen utensils and amenities. A washer dryer is on ground for your laundry needs. Security is second to none as there is an underground parking garage. There are CCTV cameras everywhere and sensors for safety.The lounge, Bar, and Olympic sized infinity pool is second to none. It gives you the idea that this is the new world. Sun bathing wouldn’t be a bad idea and take advantage of the grill and large sun deck on the terrace.Below are some testimonials from some of our esteemed guest;‘’My walks at night was so animated and refreshing, and also, I could view Victoria island, marina Apapa and Lekki from one spot is amazing’’…... Janice (Nurse).‘’Service is fantastic and you will get your money’s worth at first glance’’…. Ivar (Sales executive).“Living here has been a dream. You can't get any closer to the city center... The facilities are always maintained well and the facility manager has been very accommodating and responsive when we had questions or concerns. Eko hotel is just around the corner and muri Okunola park is just around too. Janet T”.For Bookings ContactFor Bookings:Call: 08139444263The Personal Villa Host will help make sure your needs are looked after during your stay and you get a complimentary chef. Next level Luxury one bedroom is the news creation by Redmenn and Barnes. 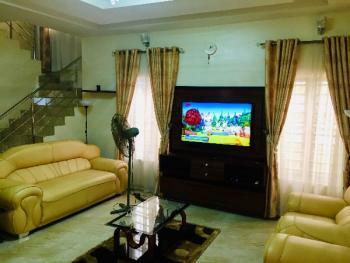 Property comes with a swimming pool, gym, DStv, Internet, smart tv and 24 hours power. 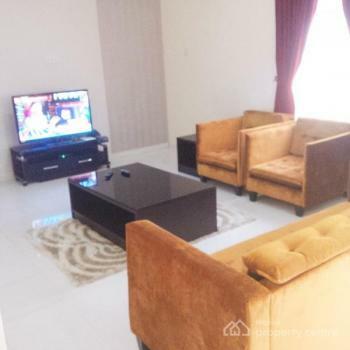 Exquisitely furnished 3 bedroom apartment in a serene environment located at Mosley road IKOYI Lagos, within a secure compound with 24 hours gated security and gatekeepers. The complex includes a swimming pool, gym and plenty of parking.Facilities Provided: Unlimited High Speed WiFi Internet Air Conditioning 24/7 Power with backup Generator Flat Screen TV with 100 channels Bath and Shower Dining room with seating for 6 people Kitchen with Fridge, Stove, Microwave Washing Machine, Iron, Ironing Board DVD Player & Stereo Guest bathroom Steel Security Door Onsite Security and Gated Secure Compound Onsite Maintenance and Housekeeping Imported Hotel-Quality Towels and Bedding Bathroom Amenities & BalconyTerms & Conditions: *Maximum of 6(six) adults allowed *Minimum of 3 nights' stay. *House parties are not allowed. 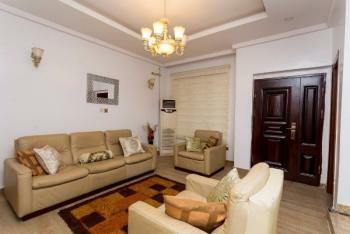 *Pre-booking is required to reserve this apartment over a specific period of time. 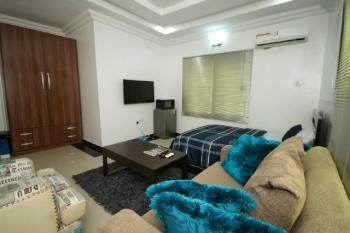 Furnished studio Room apartment Located by the 3rd roundabout Lekki, strategically close to the popular Nike art gallery along the Elegushi beach road. 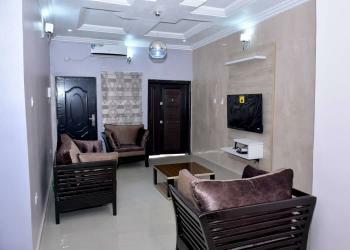 It is well nested in a calm and cozy residential environment with good and accessible road network within the high brow of neighbourhood.It is an exquisitely finished and lightly furnished studio apartment. It is a real expression of a bespoke design, matched with exuberant luxury. 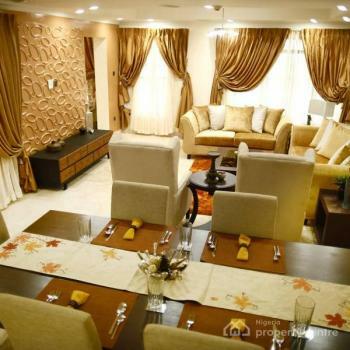 The ambiance of its interior, radiates a sense of style, glamour and poise. The apartment is 16sq. metres in size. comes en suite with a bath, toilet, kitchenette with lovely granite top fittings and a beautiful mini lounge. 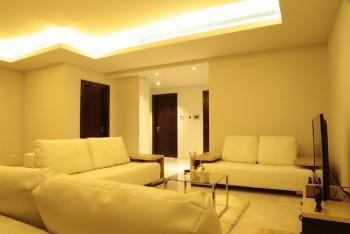 Each apartment has fully installed POP ceiling, air-conditioner, heater and wardrobe. In addition to an allotted parking space.FACILITIES: 24 hours security, 24 hours Power (20 hours on electricity and 4 hours on Inverter) street-lighting, House keeping, Treated water and Sewage/waste disposal services.Terms and Condition: *Maximum of 2 guest are allowed. *House party are not allowed. 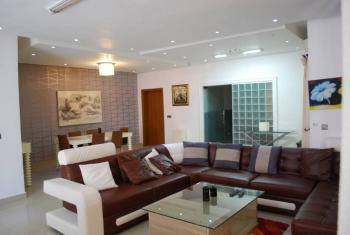 *Pre-booking is required to reserve this apartment for a specific period of time. 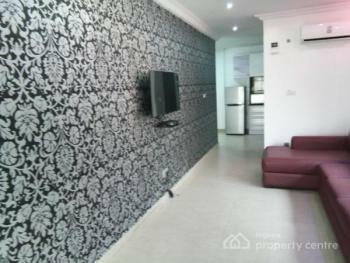 This is a freshly furnished 1 bedroom penthouse apartment in a serene environment located in Oniru estate Victoria Island Lagos, within a secure compound with 24 hours gated security and gatekeepers. The complex includes a swimming pool, gym and plenty of parking.Facilities Provided: Unlimited High Speed WiFi Internet Air Conditioning 24/7 Power with backup Inverter Flat Screen TV with 100 channels Bath and Shower Dining room with seating for 6 people Kitchen with Fridge, Stove, Microwave Washing Machine, Iron, Ironing Board DVD Player & Stereo Guest bathroom Steel Security Door Onsite Security and Gated Secure Compound Onsite Maintenance and Housekeeping Imported Hotel-Quality Towels and Bedding Bathroom Amenities & BalconyTerms & Conditions: *Maximum of (2) two guest allowed. *Minimum 3 night's stay. *House parties are not allowed. *Pre-booking is required to reserve this apartment over a specific period of time. Furnished 3 Bedrooms Flat.Luxury Furnished 3 bedrooms apartments with top-notch facilities.FEATURES: Adequate parking space 24 hours uninterrupted power supply Sitting and dining area furnished with 5 seat sofa, coffee table, 2 side stools, dinning set, balcony, 43 inches flat screen TV, air conditioners in all rooms and central areas. 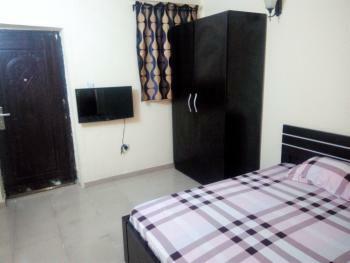 Kitchen equipped with gas hub, microwave, electric oven/grill, 370L fridge/Freezer and other kitchen utensils. Free Breakfast All rooms comes with en-suite toilets with bathtub and water heaters. Rooms are furnished with 3 king size bed with ward ropes, 32” flat screen TV.24 hours uninterrupted power, ample water supply with water treatment unit, 24 hours security guards/patrol, swimming pool with terrace, digital satellite television (DSTV), telephone, housekeeping/cleaning, WIFI available. Newly furnished 4-bedroom flat at Safe-Court Apartments comes with the following :Widely spaced living space Fitted kitchen with refrigerator, microwave and gas cooker All rooms en-suite with flat-screen tv and split unit ACs Daily cleaning of unit Swimming pool Chef on Demand Gym Children playground 24/7 power and constant running water On-site maintenance Internet WiFi .